When you ask Gil Shaham, one of the world’s great violinists, about playing with family members, he has plenty of experience upon which to draw. His wife, Adele Anthony, is a violinist who performs and records internationally. His sister, Orli Shaham, is a world-famous pianist. And his brother-in-law, David Robertson, the conductor, is musical director of the St. Louis Symphony Orchestra. But he can’t resist a joke. “The family that plays together, well at least we don’t have to talk to each other!” Shaham says. April will see the release of the fruits of his latest collaboration with Orli, a CD of Jewish music. 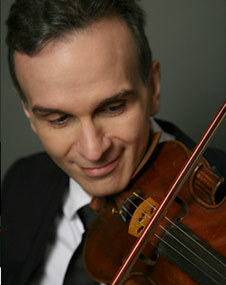 For many years Shaham (who turns 41 on Feb. 19) avoided performing with his sister, five years his junior. Perhaps it is a similar emotional tug that led him to do the new recording with Orli. He recalls one tune in particular that is on the record. For any Jew born after WWII, the shadow of the Holocaust lingers somewhere in the background, even for a son of Sabras like Shaham. He acknowledges that shadow frequently in his choice of repertoire. In mid-March, he will perform Karl Amadeus Hartmann’s Concerto Funebre, for violin and string orchestra, with members of the New York Philharmonic. The piece itself contains subtle musical acts of resistance. 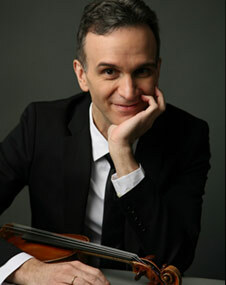 “This violin concerto begins with a traditional Czech hymn, played very pianissimo on solo violin, ‘a weeping violin’ over this very ominous, dissonant and sharp-edged orchestral texture,” Shaham says.” There is a letter in which Hartmann writes that the piece is meant to capture the times in which we live. 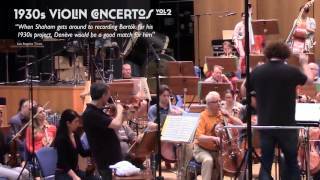 It is his reaction to Hitler’s invasion of Czechoslovakia, captured in 25 minutes of powerful, very original music. 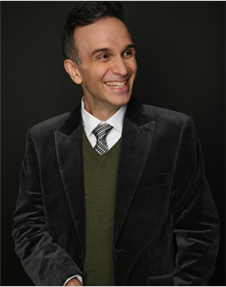 Gil Shaham will perform the Concerto Funebre by Karl Amadeus Hartmann at Avery Fisher Hall (Lincoln Center) March 15 -17 and March 20, David Zinman conducting. 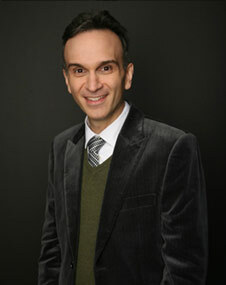 Gil and Orli Shaham’s “Hebrew Melodies” will be released in April on his Canary Classics label.